Is there a charge for credit card payments? The credit card company charges us a fee each time we charge your credit card. We thus add a charge of 2.5% to cover these costs. This is added at payment stage to your booking fee. Due to charges made by low cost carriers, you will have to pay those charges levied by the airline as well as our charges. If you need further help, call us on 01462 850489, where we will be pleased to help you. What other fees are there that I need to know? We will inform you of any additional charges and fees due to us, or an airline or tour operator. For late or last minute bookings, you may be required to pay a TOD (Ticket on Departure) charge, which is due to the airline. If you have a flight only booking, we will include Airline Failure Insurance at a charge of £5.00 per person. This will clearly show on your booking form. It is not necessary when booking ATOL protected packages, you will be informed of all charges incurred on your booking, before you confirm. This will depend on the airline, the class you’re travelling in, the duration of flight and destination amongst other factors. Meals can generally be pre-booked, at a cost, when booking if not included in the flight. This option will be offered to you during booking. Snacks and drinks are generally available on Charter/Low Cost Carriers at a charge. Most airlines provide anything from a snack to hot meals depending on the duration of the flight at no additional charge. Drinks (tea, coffee, soft drinks and alcoholic beverages) are normally provided free of charge although some airlines charge to certain destinations. If I need to cancel my holiday - what must I do? Unfortunately, sometimes customers need to cancel holiday arrangements. Cancellations must be made in writing before departure. This can be by e-mail to enquiries@spitfiretravel.com or by writing to Spitfire Travel, 2-4 High Street, Shefford, SG17 5DG. On receipt of this notice we will advise our suppliers. A cancellation usually results in a charge by the tour operator and/or airline. All cancellation charges will be in the booking conditions sent with your confirmation letter. Charges can vary with different tour operators, airlines and the amount of notice given prior to departure date. The charges associated with cancelling a holiday are normally covered by travel insurance. We advice you to check the section on cancellation carefully when taking out a policy. If unfortunately you need to cancel a booking please call us on 01462 850489 to discuss the various options. If I don’t pay the balance due in time - what happens? Once a deposit on a booking is paid and you do not pay the balance by due date, we will contact you. If we cannot contact you and thus you fail to pay the balance, your booking will be cancelled. In this event, it is unlikely your deposit will be returned and additional cancellation charges may be incurred. You would be advised of these changes by letter. If it becomes clear you will not be paying the balance when it is due, please call us on 01462 850489 to discuss the various options. What will happen when my booking is confirmed? Some airlines / operators do not confirm immediately and it may take several hours /next day before we receive and forward confirmation to you. When are final balances due? Final balances are due 12 weeks prior to departure. We will contact you by telephone or email 13 weeks before departure to settle the full outstanding balance. Once the final amount has been paid, we will send travel documents and tickets when they become available. Is it possible for you to automatically take the balance of the holiday via the same card that was used for the deposit? We are happy to do this however, please authorise us at the time of booking to use the same card. We will then take the full balance, on the due date, including any credit card charge. If we are unable to take the full balance from this card, we will contact you. Are payments details kept securely? All online bookings store your payment card and personal details using encryption software. We use your information to check documents are correct. Can I book flights and/or holidays for a ‘third party’? ‘Third Party’ transactions require you to complete an authorisation form and provide us with the front of your debit/credit card and the photo page of your passport. Some airlines do not allow transactions of this type. What is the earliest time I can book a flight? Details of schedule flights, both outward and return, are normally available 330 days before departure date. Charter flights can be up to 450 days in advance. Details of low cost airlines vary. Is there a booking fee for telephone bookings? There is no booking fees for reservations made online or by telephone. If you require help when booking online, please call us on 01462 850489 and we will assist you at no extra cost. We cannot accept cash, but will accept cheques; however confirmation will not be received until the cheque has been cleared. Can friends pay a balance with two or more payment cards? For friends travelling together, a multiple card payment CANNOT be done online. Each traveller must call us on 01462 850489 with the booking confirmation number and the name of the party making the booking and we will take their card details. Can I pay the balance in instalments? Your holiday is important and we understand the need to budget, so we are happy to accept payments as long as full payment has been received by the due date. This is 12 weeks before your holiday. This depends on the airline or operator. Details of hold luggage are part of the booking process. Charges incurred for charter and low-cost airlines are provided at the time of booking the holiday. Generally airlines and tour operators allow for pushchairs and other items but you may be charged. Airlines and Tour Operators have their own policies but normally there is no problem. For further information call us on 01462 850489 and we will talk to airlines and tour operators to ensure trouble free travel. The following items are NOT permitted on board an aircraft in either the hold or hand luggage. Gas cylinders – non flammable, deeply refrigerated flammable and poisonous gases (like butane, oxygen, propane and aqualung cylinders). Cylinders for use with camping gas, stoves, chef’s blow torches and heated hair units. Flammable Solids and Liquids – e.g. heater / lighter fuels, paint and matches. Cigarette lighters are NOT permitted on any flights to the USA. Poisons – e.g. weed killers, insecticides, arsenic and cyanide. Radioactive and oxidising materials and organic peroxides e.g. bleaches, fibreglass repair kits. Explosives and Firearms – handguns, automatic weapons, ammunitions e.g. blank cartridges, pistol caps, flares, smoke canister, fireworks and crackers. The transport of sporting guns and ammunition may be allowed in the hold. Hypodermic Needles – medical evidence is required. Infectious substances – e.g. bacteria, viruses. Corrosives – e.g. acids, alkalis, wet-cell batteries, phosphorus, mercury. Ensure all checked in baggage does NOT include fragile or perishable items, electronic devices or valuable and irreplaceable items such as jewellery, private / business documents, passports or personal identification. What liquids can I take on-board? Certain liquids and lotions are now allowed in hand luggage, but must follow the following restrictions. Liquids must be in containers of 100ml or less – These containers must be in a single, re-sealable, transparent closed plastic bag, (approximately 1 litre in capacity, 20cm x 20cm) Only one bag per passenger. Liquids that do not fit inside this bag, must be placed in the checked-in hold luggage. This bag must be presented at security for examination. Please note ‘Liquids’ include: Water, fruit drinks, soups, syrups, cosmetics (creams, lotions, oils, perfumes, lip gloss/balms, mascara etc. ), pressurized containers (shaving foam, spray deodorant etc.). Pastes/Gels (toothpastes, hair, shower etc.). How big can my hand luggage bag be? Generally passengers can have one bag no bigger than 56cm x 45cm x 25cm. We will inform you if your airline or tour operator has different conditions. An E-Ticket - What is this? E-Ticket or Electronic Ticket replaces the old paper tickets. When you book you are given an e-ticket reference number. This number is used by the airline computer system to retrieve all your booking details. With most airlines in order to check in you quote this reference or show your passport. You will then be issued with a boarding card at check in. Some airlines, such as Easyjet and Ryanair, ask you to either print the e-ticket confirmation or check in online before arriving at the airport. Can I alter my flight booking or ticket? Generally flight bookings are non refundable / non endorsable unless stated, thus changes or amendments cannot be made and you will not receive a refund should you cancel or miss your flight. If you require flexibility to alter your flight, you will need a “flexible ticket” which generally is more expensive. Approximately 14 days before departure, the airline or tour operator will issue tickets. We receive these tickets at our offices and providing the holiday is paid in full, will forward them to you 7-10 days before departure. Tickets may be sent by Special/Recorded Delivery thus requiring a signature. If you have made a late booking you my be required to collect your tickets at the airport; known as a TOD (ticket on departure), which can attract an additional fee. The fee depends on the airline / tour operator. If a TOD is required, fees will be confirmed at the time of booking. How do I make a complaint if I am not happy with something? We work hard to give you the best possible care throughout the booking procedure, while you are away on holiday and when you return. If something does go wrong we will do our upmost to ensure the problem is resolved. For problems prior to departure call us on 01462 850489 and we will do all we can to resolve the problem. During the holiday you will need to speak to the tour operator’s representative. On your return, advice us on 01462 850489 of any complaint. We must have the complaint in writing if you wish us to take this complaint to the airline / tour operator. This must be done within 21 days of your return date. Please write to: Spitfire Travel, 2-4 High Street, Shefford, SG17 5DG. Receipt of your complaint will be confirmed and we will keep you abreast of any progress. Are package bookings ATOL protected? Holiday packages booked with Spitfire Travel, are ATOL protected. Your confirmation invoice for a holiday package booked with an ATOL bonded tour operator will show the name and licence number of the ATOL holder for your holiday. If you select your own holiday package using “flight and accommodation”, then this is a “Dynamic/DIY package”. The Global Travel Group will protect this holiday under ATOL 3971. You are protected for every section of the package you book, your flights and accommodation and extras e.g. transfers, airport parking, excursion ticket etc. An ATOL protection only covers a package which includes flight and accommodation and extras booked all at the same time. 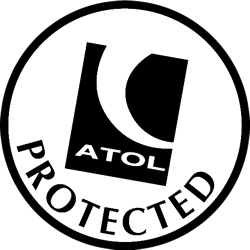 If on our website you only book a hotel room, it will not be ATOL protected. However, a booking for a flight only (no accommodation and /or extras) will not be ATOL protected but airline booking partners include compulsory Airline Failure Insurance with every flight only booking. This provides some protection if the airline fails. Is Spitfire Travel a member of ABTA? We, Spitfire Travel, are NOT a member of ABTA (Association of British Travel Agents). It is a miss conception that ABTA provides protection to customers who have booked package holidays that include a flight. ABTA is primarily a lobbying group of British Travel Agents in their representations with Government and public bodies. Debit/Credit cards and cheque payments are paid directly into The Global Travel Group’s Client Account, and independently administered trust account. They are held in this account and then paid directly to the tour operator / airline / other supplier, as per the conditions of our contracts with these persons. The money you have paid can only be used for payment of your holiday. The Global Travel Group’s Consumer Protection Guarantee provides our customers with the knowledge that their money and holiday is secured when booked through Spitfire Travel and The Global Travel Group.